Coffee is one of the most widely-traded commodities in the world. 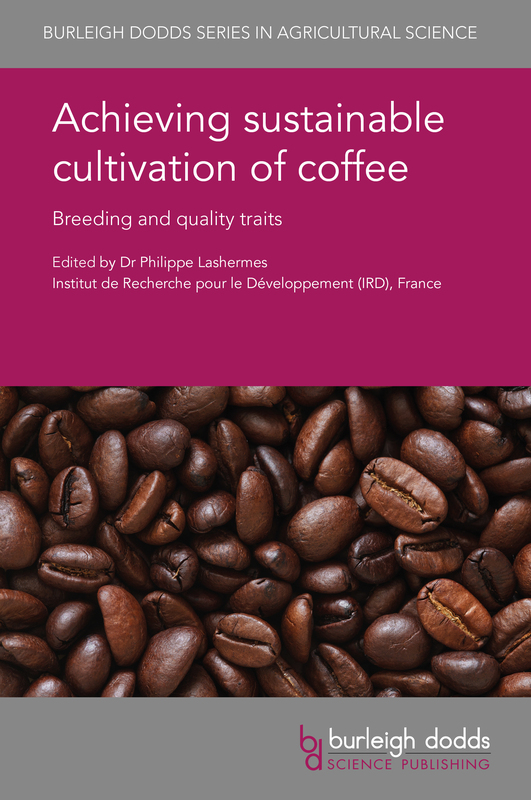 This volume summarises research addressing key challenges in coffee cultivation, including genetic diversity and breeding improved varieties. Other chapters discuss how to measure and improve quality traits. Dr Lashermes is Director of Research at the Institut de Recherche pour le Développement (IRD), France. He co-led the international initiative that sequenced the coffee genome, and has published extensively on coffee genetics. The second in this two-volume sequence discusses advances in understanding and managing pests and diseases. It also reviews ways of assessing its nutritional qualities as well as in measuring and minimising its environment impact. 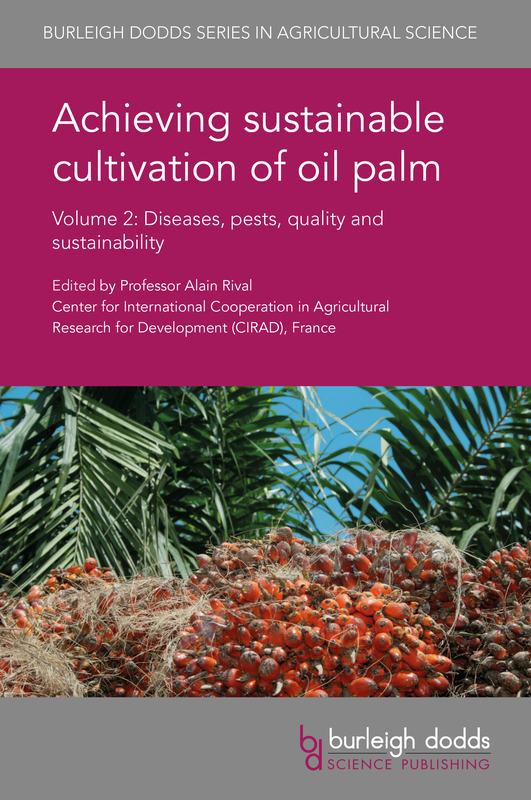 Professor Alain Rival is Regional Director for South East Asia and Focal Point for Oil Palm Research at CIRAD, the internationally-renowned French Center for International Cooperation in Agricultural Research for Development. Dr Rival is also Professor of Biology and Physiology, He coordinates several international collaborative research projects and has published widely on plant biotechnology. Potatoes have long been one of the world’s most important crops. The first volume in this two-volume sequence reviews advances in understanding plant physiology, genetics and breeding. It also discusses ways of understanding the nutritional and sensory properties of potatoes. Dr Gefu Wang-Pruski is Professor of Molecular Genomics in the Faculty of Agriculture at Dalhousie University, Canada. Her research focuses on potato genetics and its implications for tuber quality and resistance to abiotic and biotic stresses, areas in which she has published widely. There is increasing competition for water resources with declining aquifer reserves and lower rainfall in some areas due to climate change. This volume reviews research into topics such as more sustainable use of groundwater, more efficient irrigation techniques and water management. There is a growing concern that both intensive agriculture in the developed world and rapid expansion of agriculture in the developing world is damaging soil health. This volume reviews advances in our understanding of soil structure and dynamics which form the foundation for effective soil management. Dr Don Reicosky is an Emeritus Soil Scientist, formerly at the North Central Soil Conservation Research Laboratory, Morris, Minnesota, USA, a leading laboratory for soil and plant research at the Agricultural Research Service (ARS) of the United States Department of Agriculture (USDA). Dr Reicosky has published widely on carbon management and soil quality as related to soil health, understanding and optimising soil management through conservation agriculture for more sustainable production. This book reviews our understanding of tree and fruit physiology and how it can be used in breeding better varieties. It also discusses pests and diseases and ways they can be prevented or controlled to make cultivation more productive. 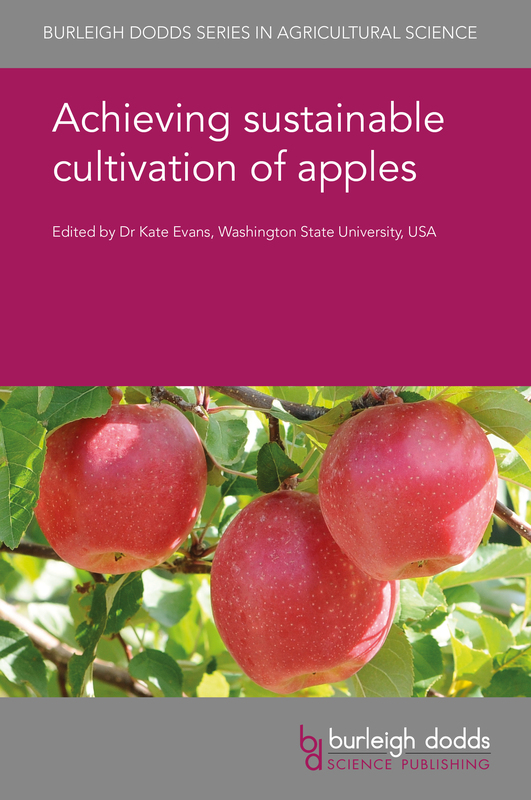 Dr Kate Evans is Professor of Horticulture at the Tree Fruit Research and Extension Center at Washington State University, USA. 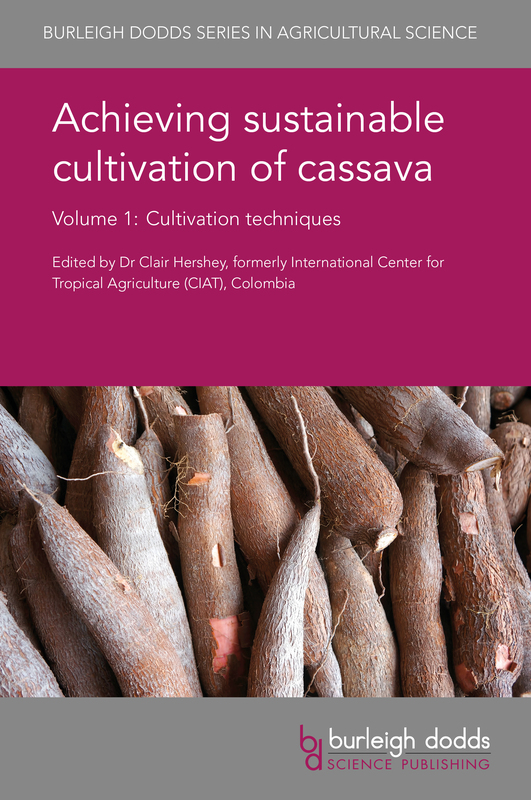 This collection begins by reviewing the current state of cassava cultivation, before going on to review the range of techniques enabling sustainable intensification, from seed systems management to intercropping and post-harvest management. Dr Clair Hershey is former Cassava Program Leader at the world-famous International Center for Tropical Agriculture (CIAT) in Colombia. With a background in plant breeding, Dr Hershey has previously worked for the FAO and the Global Partnership Initiative for Plant Breeding Capacity Building (GIPB) and was Editor of Plant Breeding News. This collection reviews advances in breeding techniques as well as improving traits such as flood or drought resistance. It also discusses advances in understanding the nutritional role of rice and ways this can be enhanced to feed a growing population. Dr Takuji Sasaki is Professor at the Nodai Research Institute, Tokyo University of Agriculture, Japan. 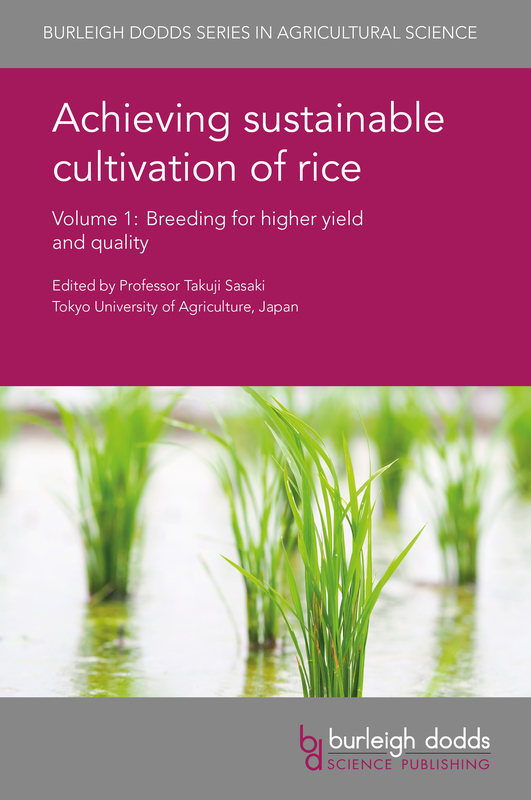 Professor Sasaki is Editor-in-Chief of the journal Rice, and played a leading role in the international rice genome sequencing project. 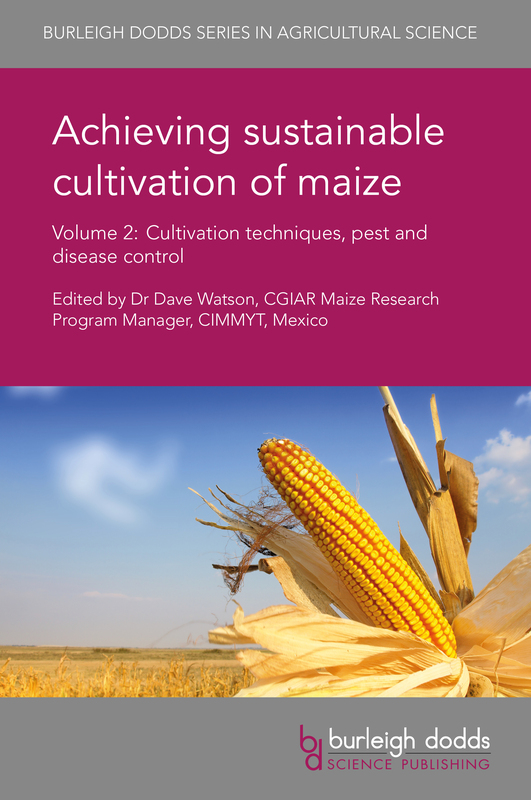 Volume 2 covers methods for improving maize cultivation, from seed selection to nutrition, irrigation and techniques such as intercropping. It also reviews research on key pests and diseases and methods for their control in making cultivation more efficient and sustainable. 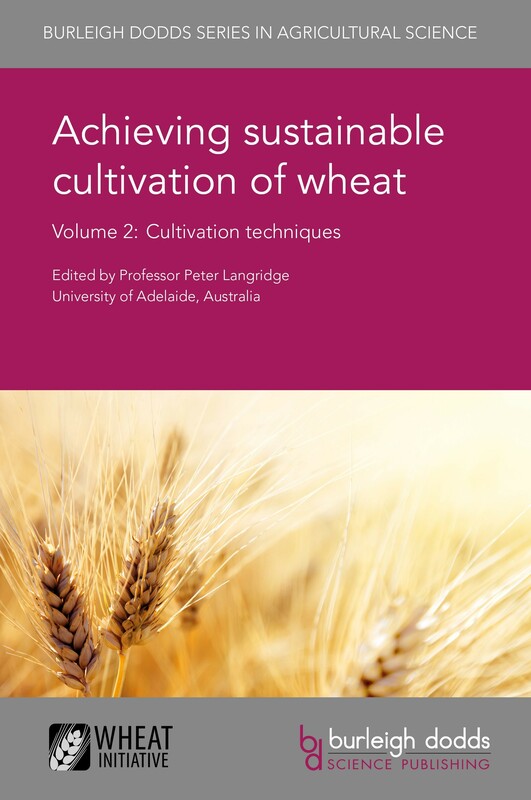 The second of this two-volume collection discusses ways of improving cultivation across the supply chain from seed selection and planting to post-harvest storage. It also reviews research on the better understanding and management of key pests and diseases. Dr Stuart Wale is a potato agronomist and researcher with 40 years' experience for SAC Consulting, a Division of SRUC (Scotland’s Rural College). He was formerly Head of Crop Services at the Scottish Agricultural College (SAC – the forerunner of SRUC). He has published widely on potato diseases in particular, co-editing Diseases, pests and disorders of potatoes: a colour handbook, and is a former President of the British Society of Plant Pathology. Dr Wale also has his own consultancy company: Potato Dynamics Ltd.
Organic crop cultivation needs to improve yields if it is to expand its share of agricultural production. 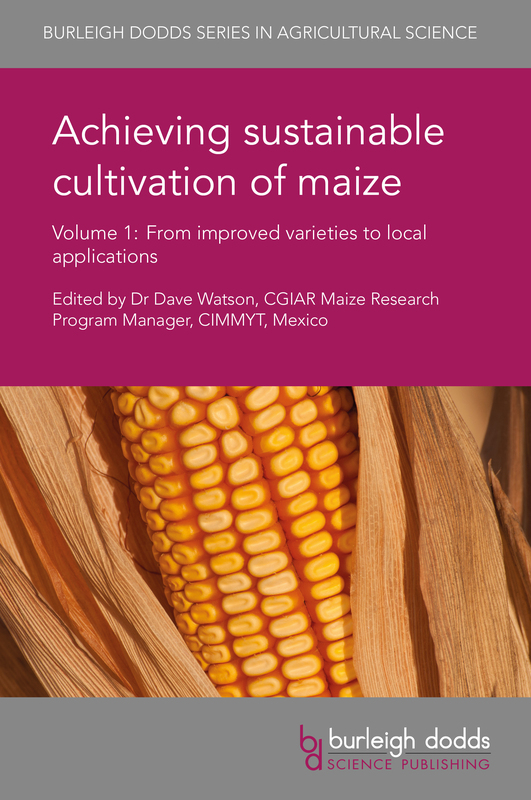 This collection reviews ways of addressing this challenge, from developing better varieties to ways of improving crop nutrition and pest control. This volume focuses on breeding new varieties with desirable traits such as drought tolerance and improved nutritional value as well as how such innovations can be successfully deployed in the developing world. 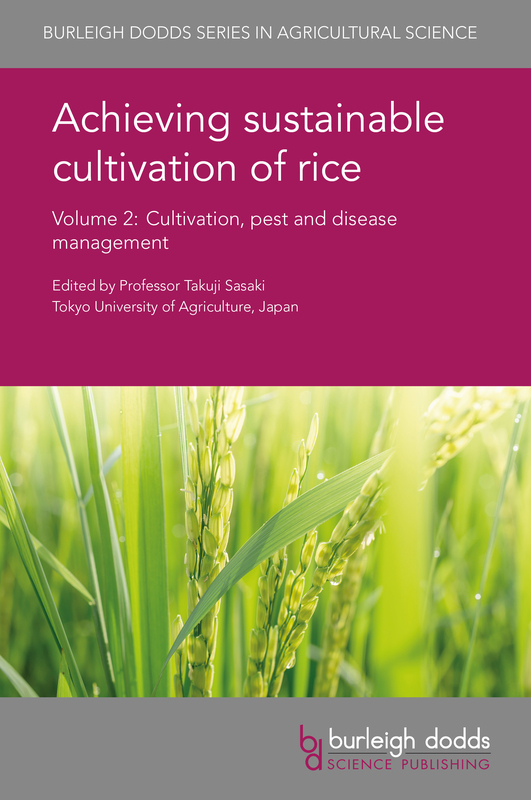 Volume 2 reviews ways of improving cultivation of rice, from planting to soil management, nutrition and irrigation as well as techniques such as integrated crop management. It also discusses key pests and diseases and methods for their control in making cultivation more productive and sustainable. Bananas are the world’s most popular fruit and the fourth most important crop in the developing world after rice, wheat and maize. The volume reviews current production around the world and how developments in cultivation practice can be used to improve yields sustainably. Dr Gert Kema is Professor of Tropical Plant Pathology and Head of the Department of Phytopathology at Wageningen University, Wageningen, The Netherlands. He leads several international banana research programs, including interdisciplinary research projects and public-private-partnerships focusing on Panama disease and black Sigatoka. He is a co-founder of several spin-off companies focusing on banana improvement, disease management and bioprocessing. Dr André Drenth is Professor in Tropical Plant Pathology and theme leader for crop protection in the Centre for Horticultural Science at the Queensland Alliance for Agriculture and Food Innovation (QAAFI), at the University of Queensland. He leads several projects on tropical plant diseases and he initiated and led a national Banana Plant Protection Programme set up to protect Australia’s banana industry from the impact of a range of pests and diseases. Dr Shoba Sivasankar was formerly the Director of both the CGIAR Research Program on Grain Legumes and the Research Program on Dryland Cereals. She was based at the International Crops Research Institute for the Semi-Arid Tropics (ICRISAT) in India. Dr David Bergvinson is Director-General of ICRISAT. Dr Pooran Gaur is Assistant Director of the Grain Legumes Research Program and Principal Scientist for chickpea breeding at ICRISAT. 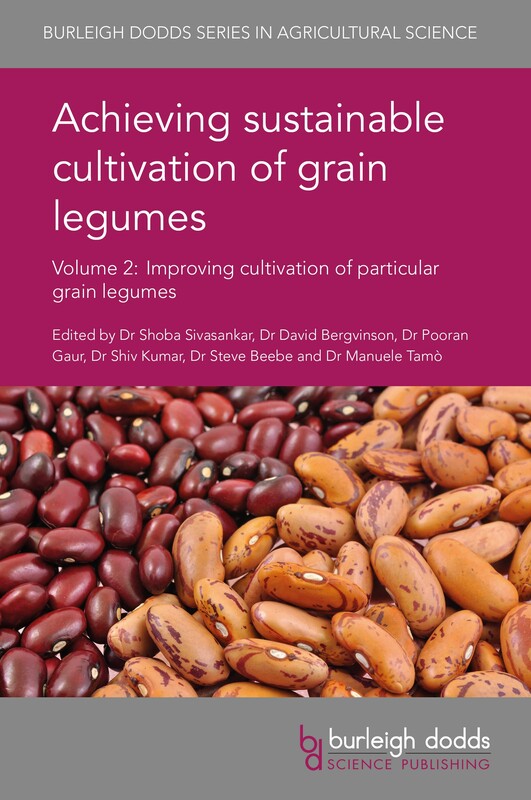 Dr Shiv Kumar Agrawal is Food Legumes Coordinator within the Biodiversity and Integrated Gene Management Program at the International Centre for Agricultural Research in the Dry Areas (ICARDA) based in Morocco. Dr Steve Beebe is Leader of the Bean Program at the International Center for Tropical Agriculture (CIAT) in Colombia. Dr Manuele Tamò is an insect ecologist at the International Institute of Tropical Agriculture (IITA) in Benin, with a particular focus on IPM in cereal-legume systems. He has worked with organisation such as AVRDC, ICRISAT and AfriceRice on IPM projects in many countries. Soil health is critical to a successful agriculture. This second volume reviews ways of classifying and measuring soils and their properties. It then discusses ways soil health can be maintained or enhanced to ensure sustainable agricultural production, as well as regional case studies of managing soil health in practice. Palm oil is widely used for food processing, personal care products and as a biofuel. 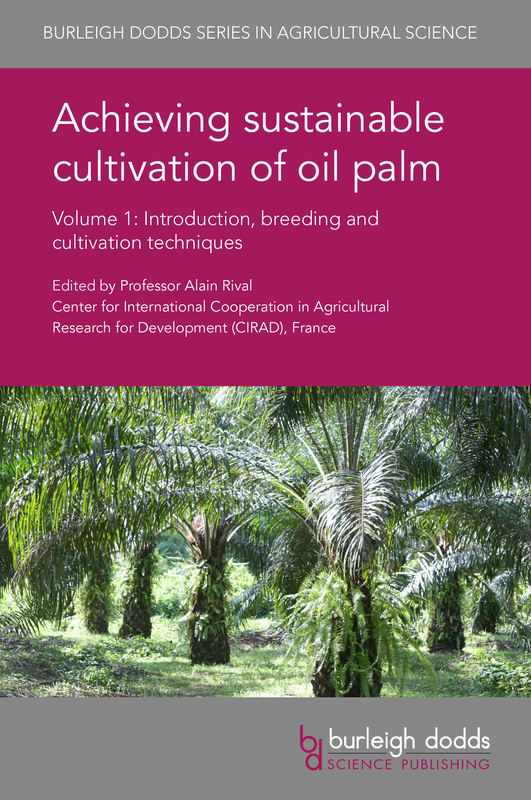 The cultivation of oil palm has raised concerns about sustainability. 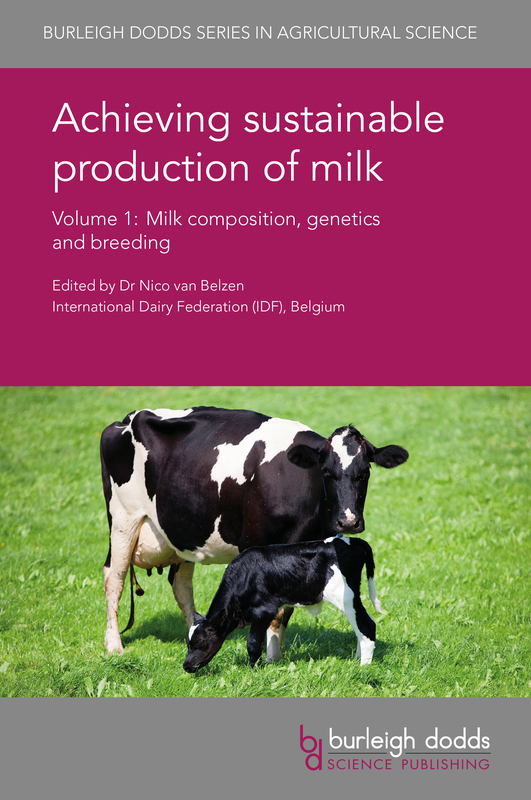 The first volume in this collection reviews research addressing these challenges in areas such as breeding and cultivation techniques. Dr William Rooney is Professor in the Department of Soil and Crop Science at Texas A&M University, USA. He has written widely on sorghum breeding and released a number of new varieties for use both in the US and Central America. He is a member and current Chair of the Sorghum Improvement Conference of North America which brings together experts from a number of universities to improve sorghum cultivation. Volume 2 discusses ways of improving cultivation from variety selection to post-harvest storage. It reviews trends in integrated crop management, sustainable intensification and organic cultivation before concluding by looking at ways of supporting smallholders in the developing world.